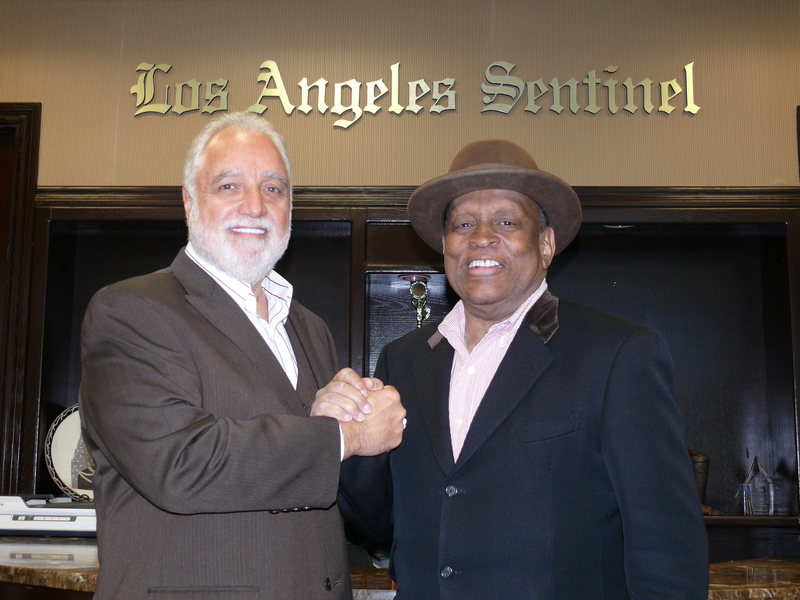 Los Angeles Sentinel and L.A. Watts Times Publisher Danny Bakewell will join a long and prestigious list when he serves as the Grand Marshal l of the 28th annual Kingdom Day Parade on Saturday Jan. 21 in Los Angeles. “This was the last wish of our founder Larry Grant and Mr. Bakewell was an overwhelming choice of our board of directors because of his services as a civil rights advocate during his many years as chairman of the Brotherhood Crusade and as publisher of the Sentinel and L.A. Watts Times newspapers,” said Adrian Dove chairman of the Kingdom Day Parade and California Congress of Racial Equality (CORE) which is presenting the event. Grant, founded the event 32 years ago after receiving permission from the late Coretta Scott King, subsequently moving it from San Diego to Los Angeles in 1978. The parade commemorates the Martin Luther King national holiday. Grant died on Aug. 12, 2012. The list of previous Grand Marshalls is long and distinguished with such individuals as California Attorney General Kamala Harris, sports icon Magic Johnson, boxing great Muhammad Ali, Rep. Maxine Waters, Rep. Karen Bass, Los Angeles County Supervisor Mark Ridley Thomas, Los Angeles Mayor Antonio Villaraigosa, Stevie Wonder, The Jackson Five, Academy Award winning actor Lou Gossett Jr., singer Chaka Kahn, actress Debbie Allen and Gov. Jerry Brown during his first term. Bakewell has a long and storied history, as a powerful advocate for the civil rights movement, was instrumental in transforming the Brotherhood Crusade from a fledging non-profit into an institution of empowerment for the community of Los Angeles and a benchmark for the nation. Since purchasing the Sentinel more than a decade ago, he has sustained the legacy of the 80-year old weekly publication, salvaged the L.A. Watts Times and has infused the social consciences and awareness in both newspapers that he has steadfastly believed in. “Both of these newspapers that Mr. Bakewell owns have a function of doing good and are social communities centers wrapped in one,” explained Dove. “When we reach out to these individuals to ask of them to serve as Grand Marshall, many times we don’t know what their response will be. I will tell that there has never been a more pleasant experience than this one,” he added. An estimated half million spectators will attend the 3 mile, two hour parade that will also pay a fitting tribute to its late founder and torch carrier Grant. “I am honored to be associated with a parade that is in the heart of the Black community and that is reflective of the deeds of arguably the greatest American who ever lived in Dr. Martin Luther King Jr.,” stated Bakewell. For more information go to kingdomdayparade.org.